To begin with, you need to decide what type of covered call strategy best fits your personal risk profile. Is your focus simply earning extra income on stocks you already own, or protecting the value of your shares by writing covered calls? 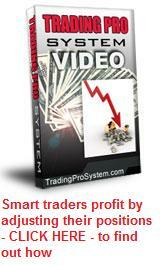 Or are you a serious option trader in the "business" of covered call trading. Whatever your answer, we have a the right strategy for you. What you are about to read will answer the first question. On another page, we will consider a covered call strategy for the serious trader looking for monthly cashflow. If this is you, then you're a long term stock holder. You've probably purchased a stock some time ago and hopefully, it's worth more today than when you bought it. Perhaps you have a 401k or superannuation fund and would like to see a greater return on investment? Or maybe you just believe this stock is a good long term investment and want more? In that case, you need to be aware of a few things. When you sell call options, in return for the premium you receive, you're exposing yourself to the risk of the stock being called away from you - i.e. you may have to sell it at the agreed 'strike price' for the options you have sold. If you've held the stock for a while, there may be capital gains tax implications to consider. On the other hand, you would want to ensure the strike price of your Covered Calls is greater than the price you originally bought the stock for, otherwise you could make a capital loss. So your decision to implement this covered call strategy will depend on where your stock is today, in relation to when you purchased it. If today's price is above your purchase price, then this could be a nice way to bring extra income over dividends. 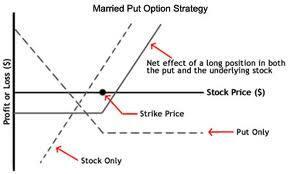 The best covered call strategy here, would be to sell call options for the next month out. The reason for this, is that during the last 30 days of an option contract's life, the "time value" in out-of-the-money options declines at an exponential rate. So if you sell call options at a strike price of say, $2.50 above the current market price and within the next month, the underlying stock either goes nowhere, or declines, you get to keep the option premium, or to protect yourself from an unexpected price rise, buy it back for next to nothing within a few days of expiration. You have a made a profit from selling high and buying back low, or letting it expire worthless, as the case may be. You may not be able to do this every month if you want to keep your stock. It will depend on where the current market price is in relation to your original purchase price. You may be prepared to let the stock go, if called away, providing it is above your purchase price. That's your decision. Either way, your one simple fundamental rule if you're an investor and not a trader, is to wait until you can sell call options at a strike price above your original purchase price. That way, you can't lose. Another use of covered calls for the stock owner, is to provide a form of insurance over your shares. Let's say you own 500 XYZ shares which you purchased for $15 a year ago and the current market price is now $20. You want to hedge your investment in the event of XYZ falling back to $15 or less. So you sell 5 "deep-in-the-money" near month call option contracts on XYZ at a strike price of $15 and receive $5.75 x 500 in premium = $2,875 credited to your account. At the same time, you purchase 5 near month "out-of-the-money" $15 put option contracts on the share and pay $0.25 x 500 = $125. Your net income is now $2,750 less brokerage. Should the share price fall below $15 before expiration date, your put options allow you to sell them for the $15 strike price, thus protecting you from a catastrophic collapse due to some bad news. You have covered the cost of these put options with the extra $0.75 'time value' being the amount above the intrinsic value in the $5 ITM call options. If the share price is close to $15 near expiration date and you are nervous about further falls, you may wish to consider selling the next month out deep-in-the-money call options and purchasing OTM put options at the same strike price of say $12.50. Again, you should receive enough premium from the 'deep ITM' call options to cover the cost of the put options plus any potential further capital loss on falling share prices. The downside of this covered call strategy, is that since you have written deep ITM call contracts, if the stock price is above $15 at expiration date, you are likely going to be called to sell your shares at $15. But you have already received the extra $5 in premium earlier so there is no financial loss. But if the current market value of the shares has risen to say $24 by now, you have foregone the potential gain on the shares you would have otherwise made. But it's a great choice in a bear market or at what you believe to be the top of an uptrend.